Part of the update of the Entry, Living and Dining Rooms was making the space more functional for a new life stage. The small formal dining room was flipped with the large formal living room, allowing the newly married couple to entertain their combined families. 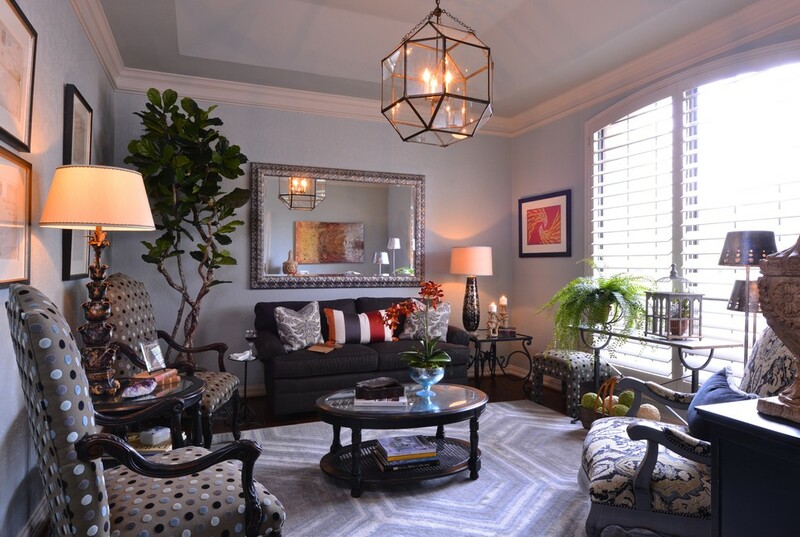 The original Formal Dining Room was transformed into a cozy sitting area- warmed up with pale gray blue wall color and Tibetan wool and silk area rug. This room now serves as a retreat for reading, relaxing and visiting with guests. Another challenge was the polar opposite tastes of the newly married, artist wife and the CPA husband! A creative blending of contemporary fabrics and art with traditional furnishings resulted in a very satisfied outcome where the couple love to live and entertain. The Formal Dining Room was transformed into a cozy sitting area- warmed up with pale gray blue wall color and Tibetan wool and silk area rug. 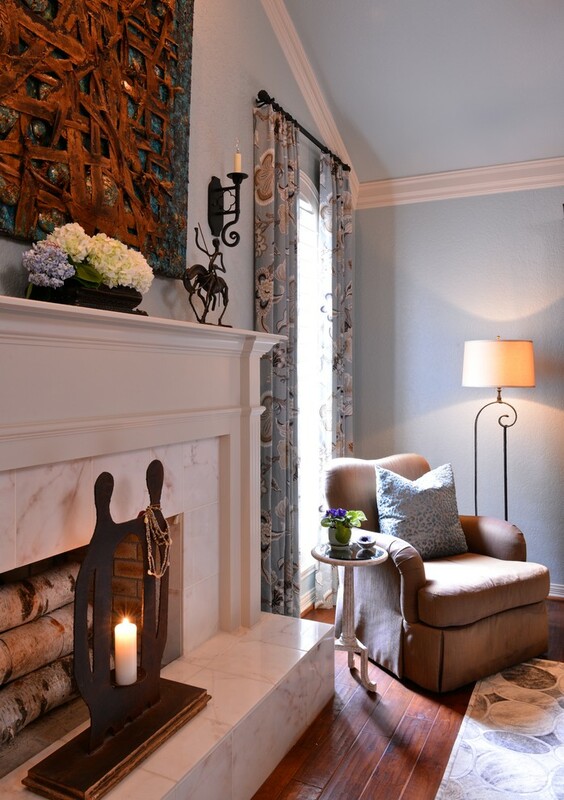 Framed antique envelopes flank the oriental painted tulip lamp and re-upholstered arm chairs. 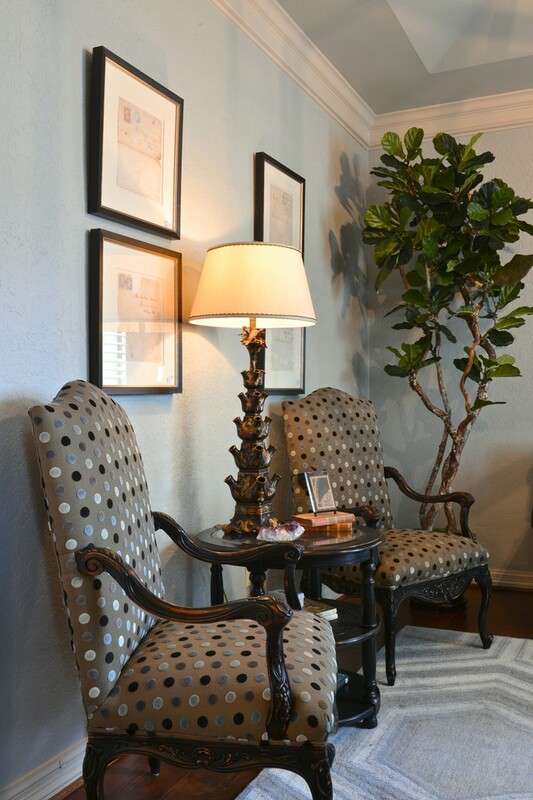 The stained armchairs were repainted black and covered in a modern cut velvet polka dot fabric by Brunschwig & Fils. 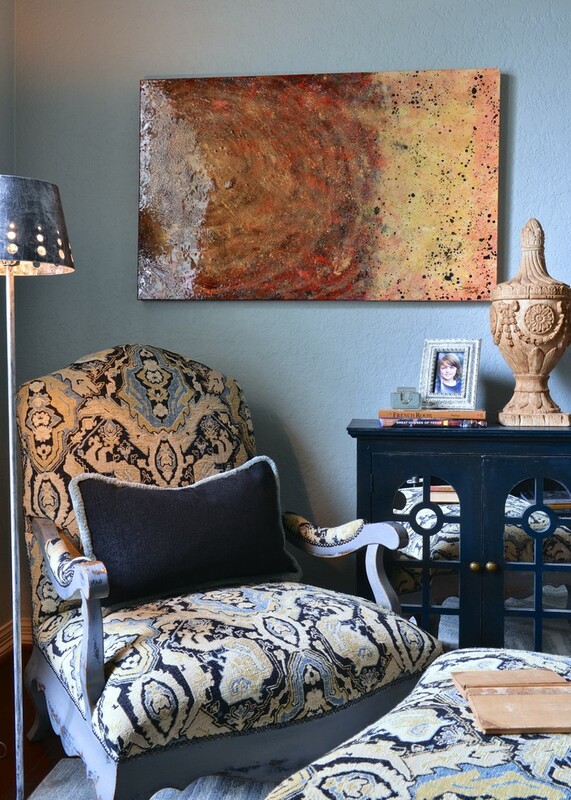 Cozy corner in Sitting Area with client's contemporary art displayed, adding rich texture, movement and color. In Formal Dining Room Transformed into Cozy Sitting Area- instead of fabric window treatments the large shuttered window creates an open garden feel. Linen drapery panels flank the narrow shuttered windows creating an illusion of width. Comfortable chairs create more seating for large family gatherings in the dining room. 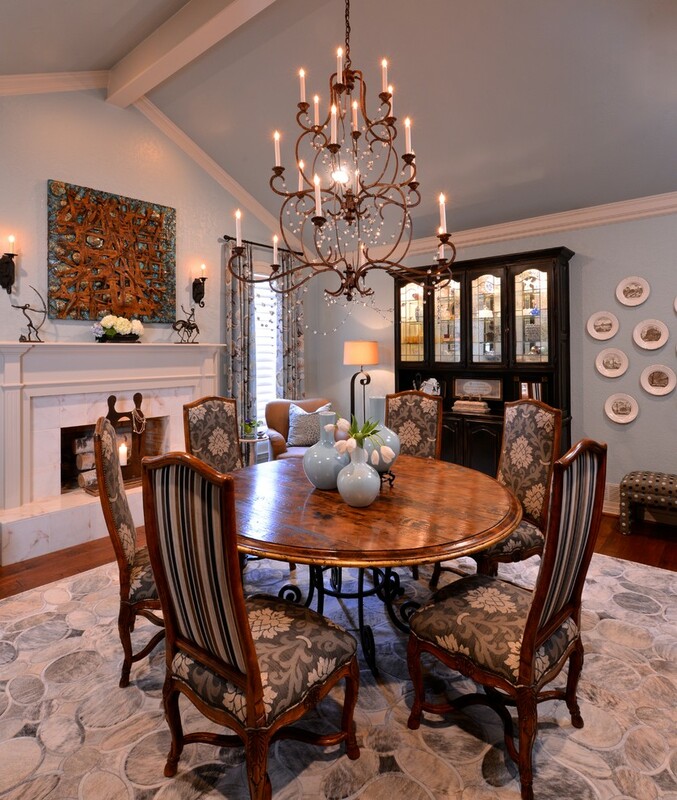 Wrapped in soothing pale gray blue on walls and ceiling and grounded with the elegant cowhide rug, the star of this room is the stunning iron and crystal chandelier. 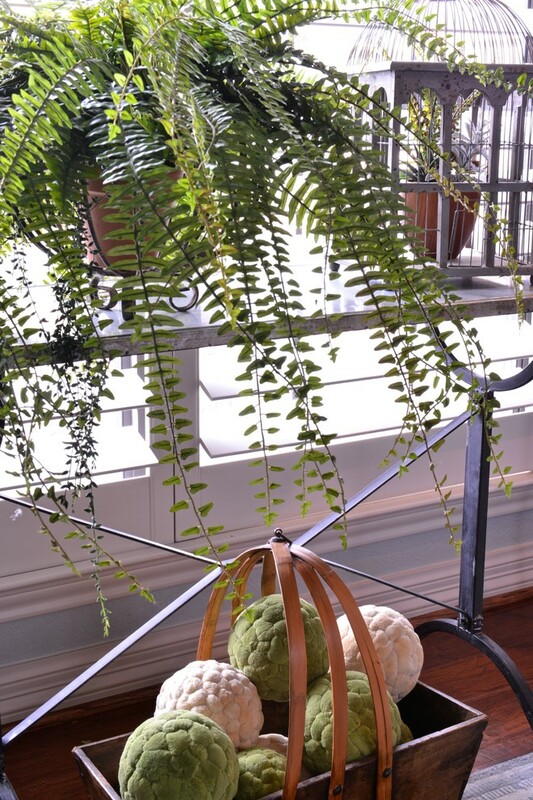 Elegant and rustic, it lights up the large scaled room and makes up for the lack of natural lighting. Stunning iron and crystal chandelier. 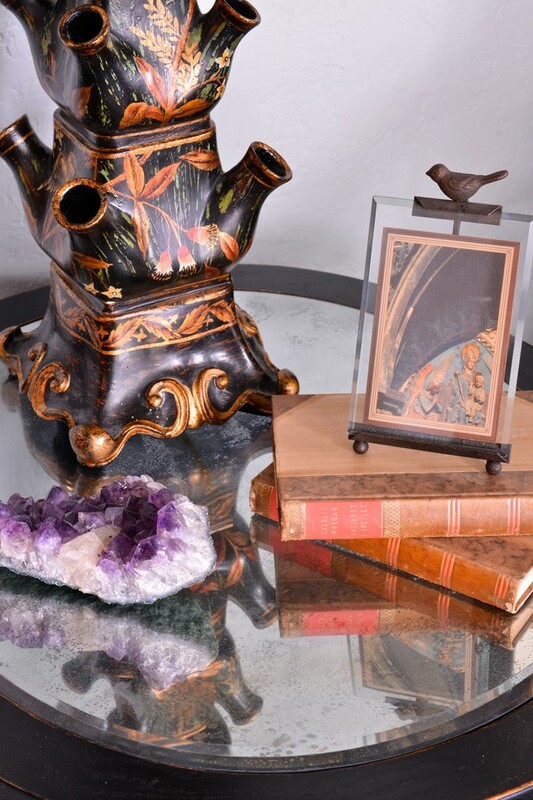 The mixed media art hanging over the fireplace mantle is by the client who is an artist with work shown in the Fort Worth Museum of Art. 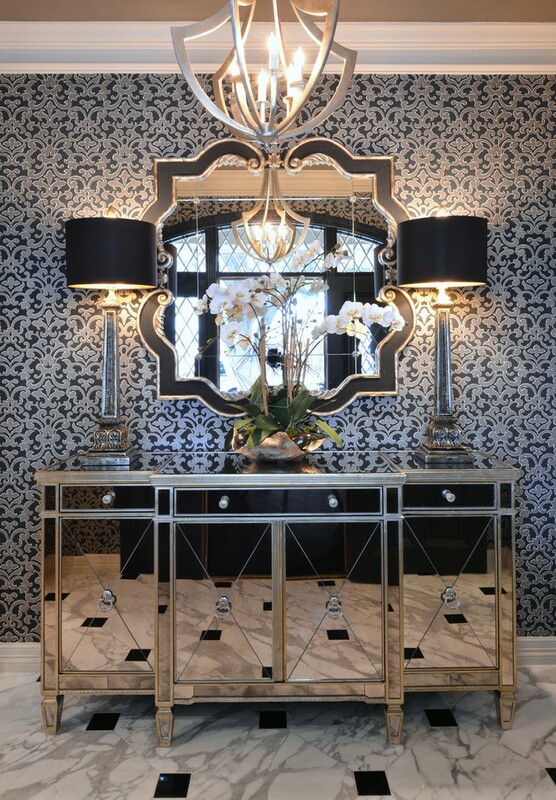 Elegant black and silver metallic newly-scaled damask wallpaper updates and creates the backdrop for drama in the Entry. 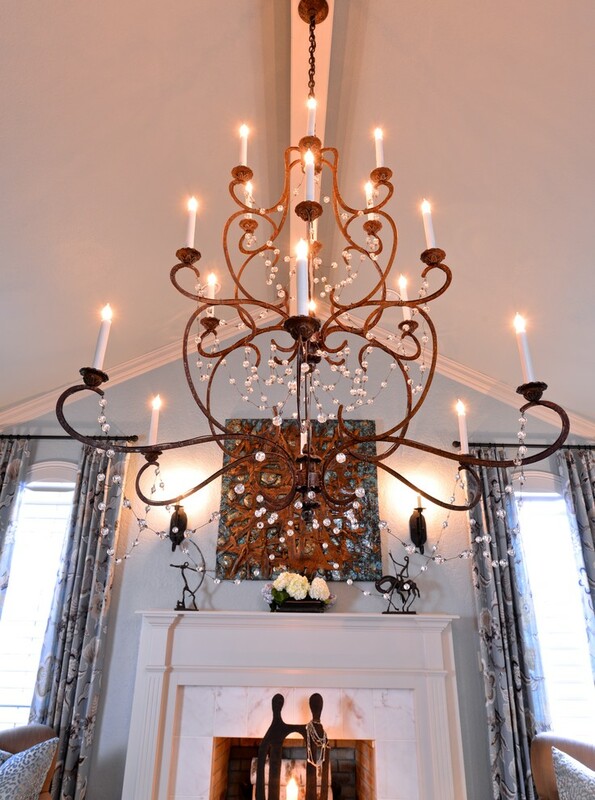 The front doors were painted black, new marble floor tile installed and a contemporary version of a traditional style silver-leafed chandelier completed the stage for the mirrored, black and silver furnishings.